Good food, in fact haute cuisine, used to be the driving force behind forays away from home; hotels were just a place to rest before the next gastronomic feast, but as the years have passed, the joy of a comfortable bed, a decent bathroom, an enviable location and excellent service have acquired significantly more weight, as has Hugh. 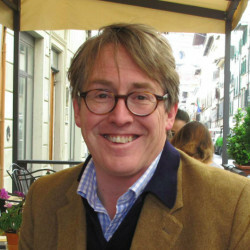 He has written for the Sunday Telegraph and founded the Ski Club of Great Britain's Chalet & Hotel Guide. He now is responsible for the Hotel Guru and lives in Scotland. Twitter, Linkedin.